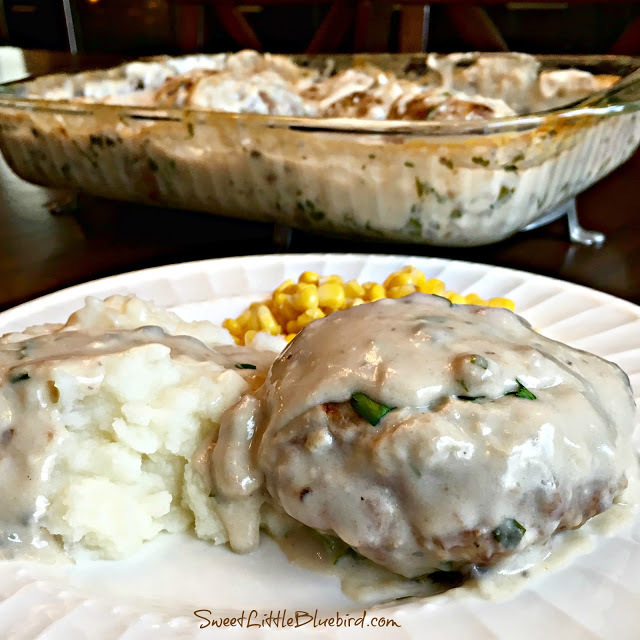 Today’s recipe is an oldie but goodie that’s big on taste and easy on the budget – Amish Country Poor Man’s Hamburger Steaks! Amish Country Poor Man’s Hamburger Steaks – An old fashioned hamburger steak recipe. 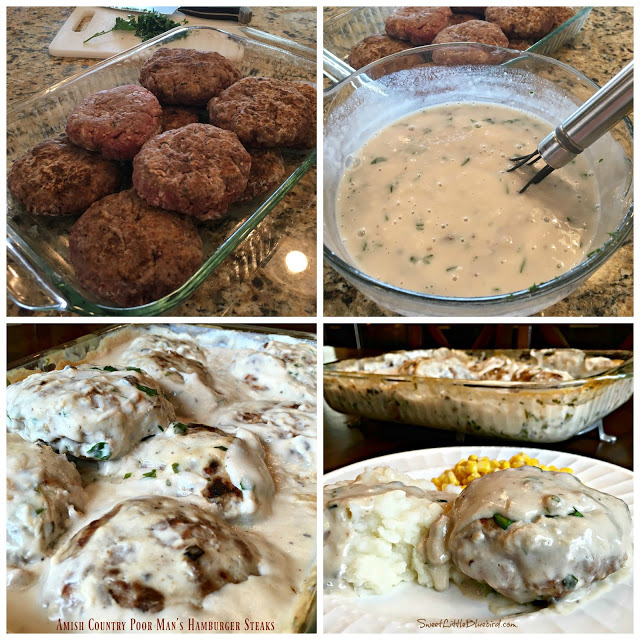 The “steak” patties are made with cracker crumbs, milk and seasonings, baked in a delicious mushroom gravy. Down home comfort food the whole family will love, including the kids. Simple to make, so good. 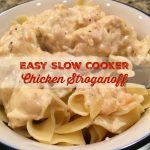 Wonderful served with mashed potatoes, favorite veggies and salad. I made this for my daughter’s back to school dinner. It was a huge hit with the family and received rave reviews! 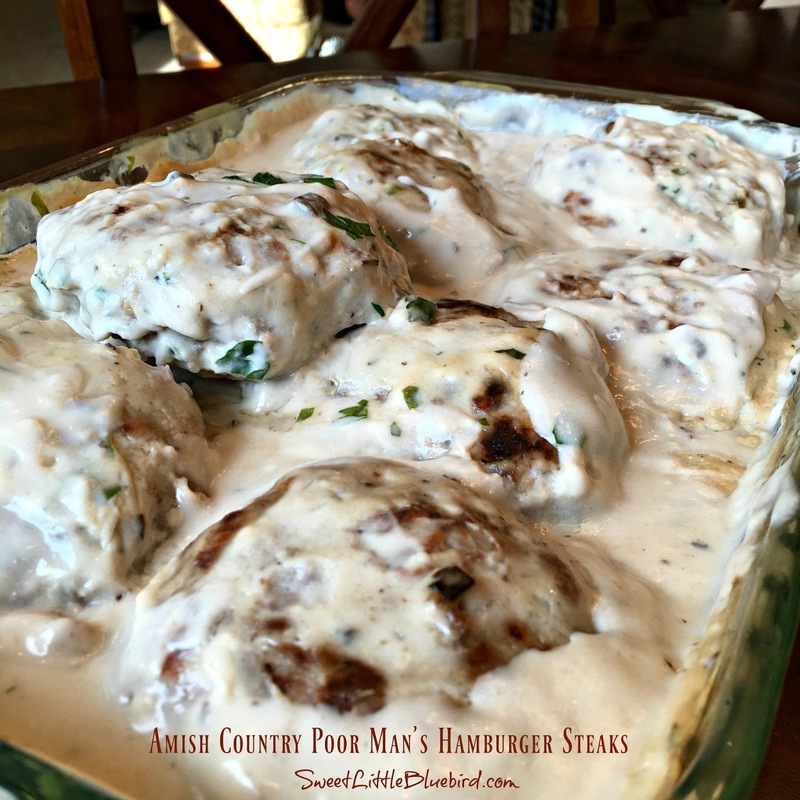 Today’s share was adapted from two recipes – Ohio’s Amish Country’s Poor Man’s Steaks and Allrecipe’s Poor Man’s Hamburger Steaks. Both recipes are similar and easy to adapt to your taste. Be sure to check them out. 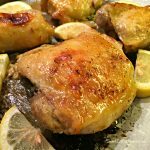 Also take a couple of minutes and read the comment section on Allrecipes – I always find great tips. 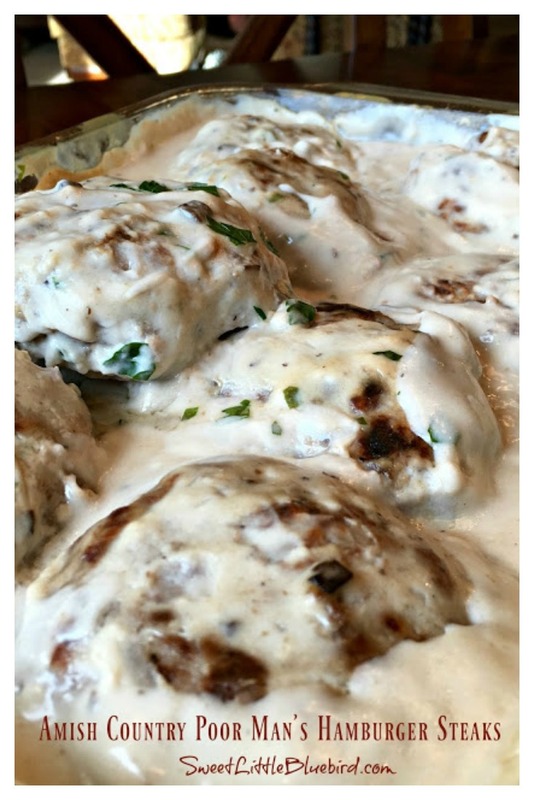 The version I came up with for my family was absolutely delicious and will be made again in the near future. Preheat oven to 350 degrees F. Spray 9×13 baking dish with non-stick cooking spray. Gravy: In a medium size bowl add the 3 cans of soup, milk, water, parsley and mix well – set aside. Hamburger Steak Patties: In a large bowl, using your hands, mix ground beef, cracker crumbs, milk, Italian seasoning, garlic powder, cayenne, salt and pepper until well blended. Gently form 8 to 10 large patties (don’t press too hard), making them all equal size. Next, lightly dredge (coat) in flour and fry in a skillet with high sides on medium-high heat until golden brown on both sides – inside will still be uncooked. Place patties in baking dish. If making more than 6 patties, layer them – see photo above. Pour gravy evenly over patties, bake covered with foil on middle rack of oven for 1 hour or until the steak patties are well done, reaching a safe internal minimum tempertaure of 160 degrees f.
*If you are making more than 6 patties and need to layer them, turn the top layer of patties over one time, half way through baking – this was recommended by Lee Ann Miller’s recipe for Ohio’s Amish Recipes, Poor Man’s Steaks, to insure even cooking. Her recipe does not call for covering while baking. I opted to cover to prevent mess from splattering. Serve steaks with mashed potatoes, baked potatoes, rice, egg noodles, favorite veggies, salad. Be sure to spoon the gravy over potatoes, rice and/or noodles. Enjoy! This recipe makes a good amount. Unless you are feeding six people, you will most likely have leftovers – but don’t worry, the leftovers are great! If you want to make less, you can easily cut this recipe in half. The two recipes I adapted this from, one called for covering, the other did not. I opted to cover. Lee Ann Miller’s recipe for Ohio’s Amish Recipes, Poor Man’s Steaks calls for 1 small chopped onion or 1/3 cup chopped sweet onion, along with 1/2 cup chopped green onion. I did not add this to my steaks, my kids are not big fans of onions. If you love mushrooms, try adding a small can of sliced mushrooms (or use fresh) for even more mushroom flavor. 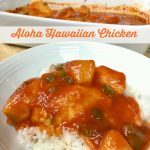 Love watching cooking video tutorials, head over and check out Lee Ann’s video for her recipe. Might I use another cream soup rather than mushroom (which Icannot tolerate)? 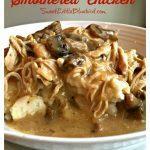 This was so good and easy to make!My family loved it!